Whenever someone asks about our favorite childhood memory, we would most probably recall our summer vacation with family within a second. Today, being a parent, we too look forward to giving our kids a lot of childhood memories that they will be cherishing for life. And so, it is important to know about the best summer vacation destinations before we choose one, this time. 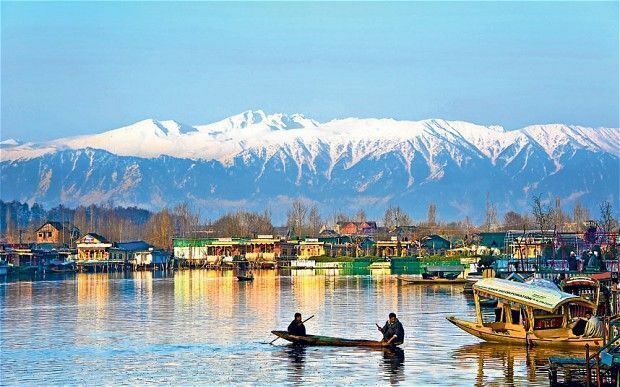 Kashmir, the crown of India, has earned worldwide accolades for its serenity and spectacular landscapes. Srinagar typically calls for a shikara ride on the vibrant Dal Lake. Shankaracharya Hill Temple and the picturesque Grand Mughal Gardens are some of the must visit destinations. While on a family trip, everybody will absolutely love the experience of staying on a houseboat in Srinagar. In Gulmarg, a cable car ride up to Khilanmarg snow point is again a one-of-a-kind affair to do. The town is also a well-acclaimed skiing spot. The ‘still unexplored’ region of the North-East India boasts of a couple of great summer family holiday destinations. The Darjeeling Himalayan Railway’s ‘Toy Train’ is a “must not miss” experience with the kids. Sunrise at the Tiger Hill; umpteen colorful gompas (Buddhist monasteries) at Ghum, have a lot to offer to the entire family. One can also opt for a lifetime experience of white water rafting on the Teesta River. In Gangtok, fondly popular as Sikkim’s pretty little capital, Tashi Viewpoint and Ganesh Tok deserve a visit for its sweeping bird’s eye view Kanchenjunga. If one has a penchant towards witnessing precious antiques, Enchey and Pemayangtse of the monasteries are the places to head to. Chogyal’s Palace is open to visitors during Pang Lhabsol – the festival of the mountain god. Tamil Nadu too, falls in the list of the most loved summer holiday destinations for families. The Princess of Hill Stations, Kodaikanal is just the apt place for kids. The star-shaped lake in the city is a must-visit coupled with several parks and waterfalls around. Boating, horse riding and cycling are also popular activities to mention. In Ooty, the major attractions are the Botanical Gardens and Doddabetta Peak, offering a visual treat with stunning views overlooking the valley below. Also taking out an evening for the Pykara Lake and the cascading Pykara Falls is a must. Last but not the least, Ooty chocolates! This is something that needs to be bag-filled before one leaves! Shimla is supposed to be a pretty little town flawless for a holiday and this is why The British made this spectacular town their summer capital. Mall Road and the Ridge greet guests with several shops and restaurants. Christ Church on the Ridge is again a strikingly beautiful spot. In Manali, there are many easier treks that kids can go for, needless to mention riding a yak! In religious sites, the Hadimba Devi temple should also not be missed. Make an excursion to Rohtang Pass, which blends with the Lahaul & Spiti valleys. It is open between May and November. If one is fortunate enough, he/she can encounter some snow as well here. Jim Corbett National Park happens to be the oldest national park in India. It was established in 1936 as Hailey National Park to guard the dying out Bengal tiger. Located in the Nainital district of Uttarakhand, the park was named after the great conversationalist, Jim Corbett, who had played a significant role in its establishment. It takes pride in being the first park to come under the Project Tiger initiative. Boasting of housing around 110 tree species, 50 species of mammals, 580 bird species and 25 reptile species, Corbett is a real treat for tourists and wildlife aficionados. This is why; the park was listed in Google’s Summer Travel Trends in 2013, which further proves the fact that summer is the best time to visit Corbett. Activities one can experience here in Corbett are: a) Canter Safari: exploring nature on canter. b) Elephant safari: one of the best experiences in Corbett, witnessing the rich flora and fauna from tremendous height is something mesmerizing. C) Jeep Safari: one can enjoy the natural beauty with family and group. d) Bird Watching: being a bird lover, the next place in our bucket list is – Corbett. Now, when one knows about so many summer holiday destinations, it’s time to gift the family a well deserved and happy summer vacations this time….!! !